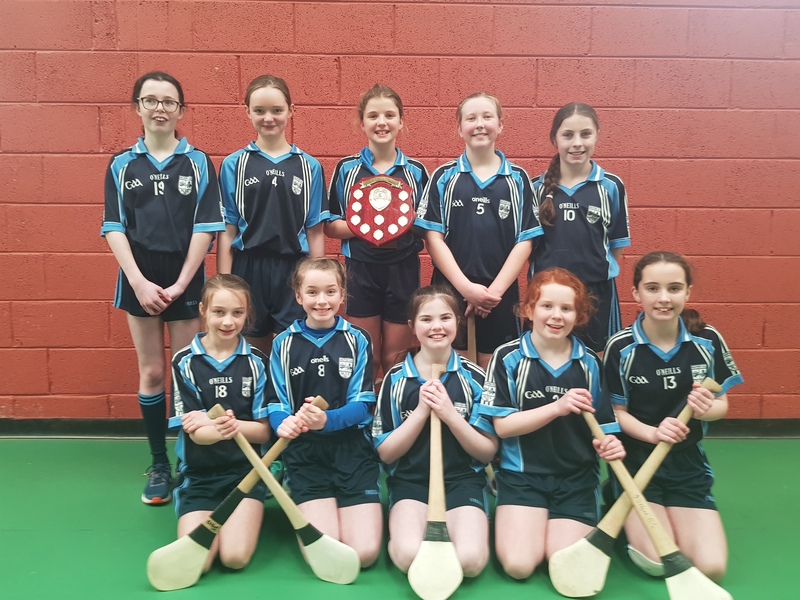 Congratulations to Milford NS camogie girls who won the City Indoor camogie title for the third year in a row.The girls defeated Ballybrown, Mungret, Gaelscoil Castletroy and An Mhodhscoil schools in the group stages and defeated Monaleen NS in a close Final. Milford’s captain Grace accepted the Shield on behalf of her teammates. 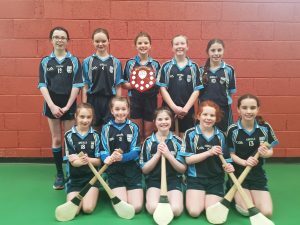 The girls will now contest the County Finals in Caherconlish Hall on Friday 22nd March . Many thanks to their coaches Ms Moloney and Ms Newman for preparing the girls for the competition.